Braided leather bracelet tutorial is easy and fun! This bracelet took me about five minutes to make. 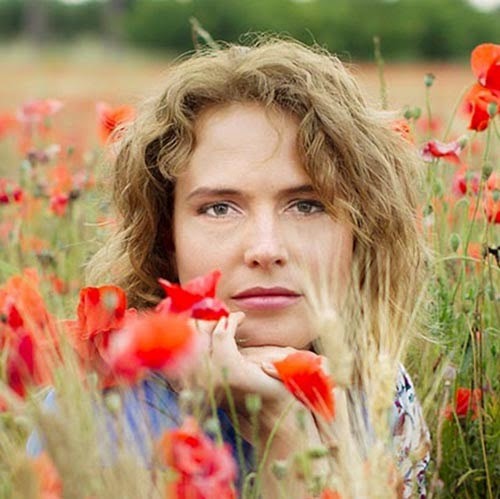 It will be great addition to every style outfits, especially for boho lovers! • Piece of leather, 8 oz. 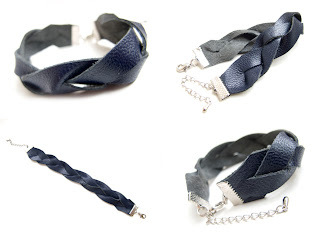 Cut out strip of leather of length than you want the bracelet to be. Carefully cut two inside slits with a leather knife and traightedge, leaving 1/2 inch uncut at each end. Start a tight braid. I always start with the right side over the center, left, right. Now before you continue, bring the bottom up and through the right loop. This will put everything in a twist for a moment. Do another set (left, right, left) Now bring the bottom up and through the left loop. This will straighten out the twists and on to the next set. So if you start on the right, the bottom goes through the right loop. The leather braid should be tight in the beginning because the end will be loose. Once you’re done braiding, your bracelet will look a little lumpy. Don’t worry. Just give it some time & it’ll break in nicely. You can put it under something heavy. Once you’re finished braiding, you’ll attach ribbon ends and lobster clasp closure. You can make it with a snap closure. 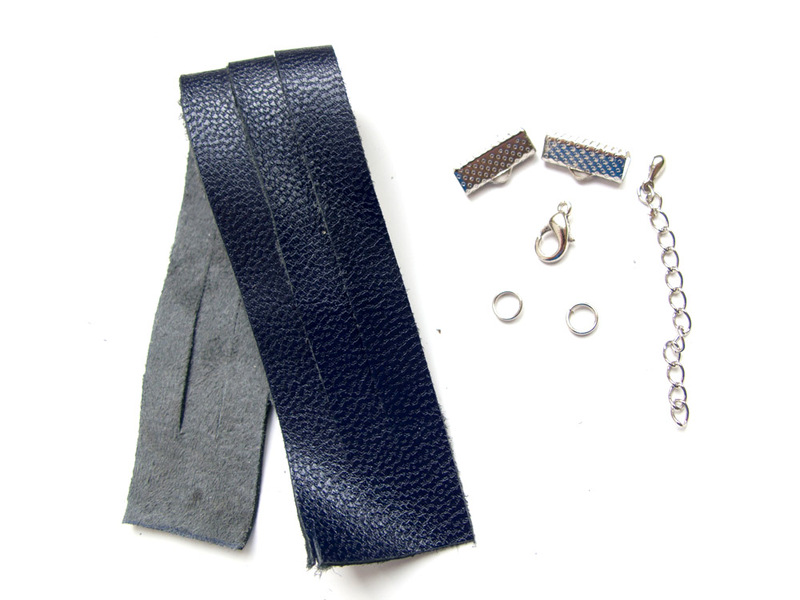 In this case cut out a strip of leather of length 1/2 inch longer than you want the bracelet to be. I love doing something with my hands to my house. I always have in mind there are a few fresh ideas. Recently I had some free time and I realized one of them. And of course, decided to share it with you! 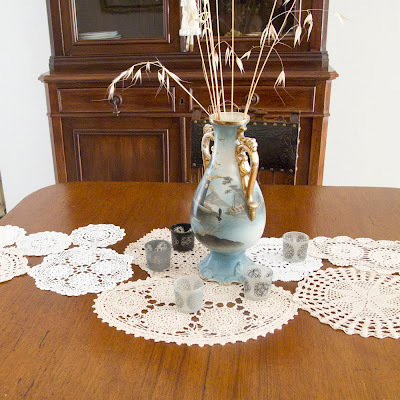 It's table runner made from vintage doilies. I liked that it looked fresh, but a bit vintage and shabby at the same time. I bought in a local flea market a few big doilies and several smaller. They cost something about 1 euro for 2 doilies. Of course they have some small spots or holes, but I think I will find a solution. I will cover one with other. 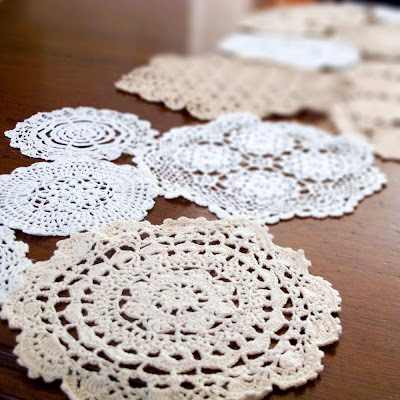 Maybe you have some doilies at home,remaining from your grandma. 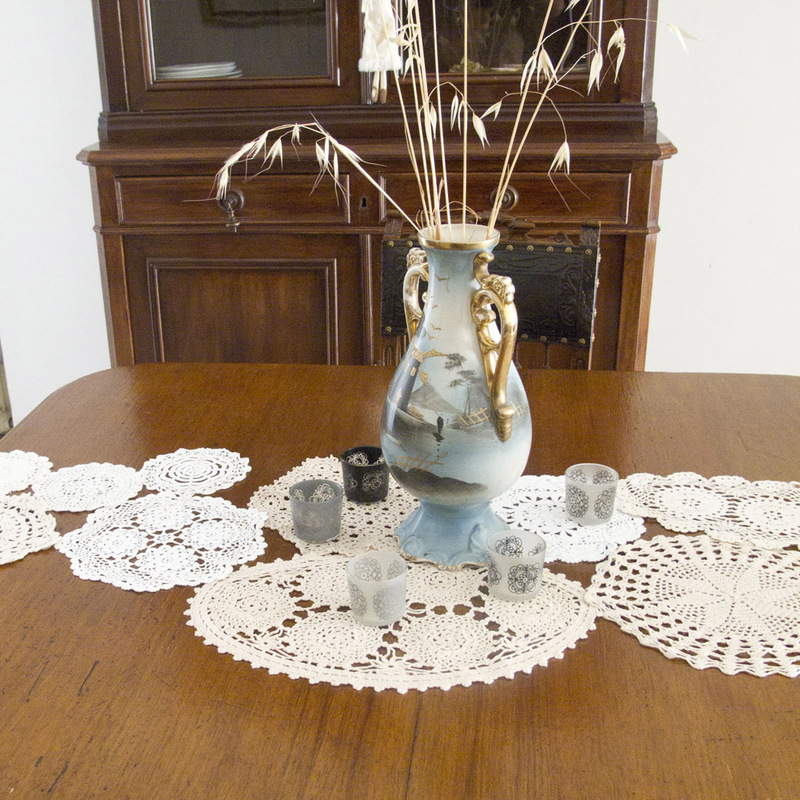 Step 1: Lay out your largest doilies first, maybe in the center of the table. Step 2: Fill in the spaces between them with the medium and smaller doilies.. Step 3: Overlap the edges of the big and small doiles. Try to cover holes and spots. Step 4: Pin doilies together. 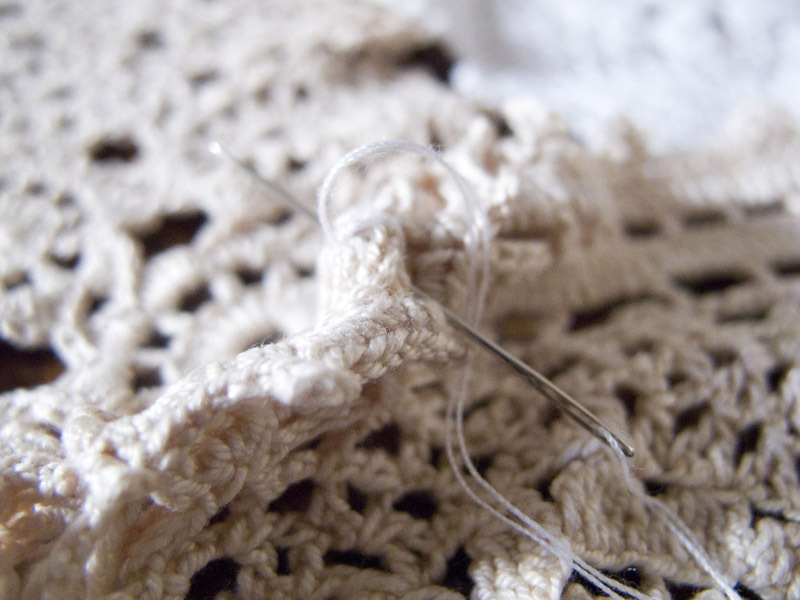 Then make a few stitches to keep them together. If you want, machine-stitch them together. With the onset of cold weather I always want to put on something warm and stylish at the same time. I am pleased to present to you a skirt for cold days. It is a beautiful long crocheted skirt with a flared silhouette made from the gray half-woolen yarn. Because of its sheerness, you may need to attach lining, or you can wear it with leggings. It will look splendid both with tall boots with high heels or with wedge boots. 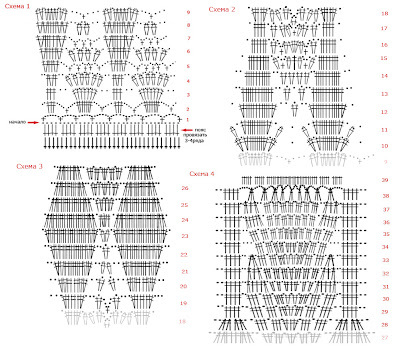 According to the latest fashion trends, crocheted clothing is very popular. How to wear this crochet skirt in winter? A cropped jacket, knitted cap and scarf in matching colors for the street, a slim fit turtleneck or a fine knit sweater for the indoors - and you are all set. I used a 50/50 wool/acrylic yarn. The thickness of the thread is about 300m/100gr (or 125m/50gr), hook number 2.5-3. 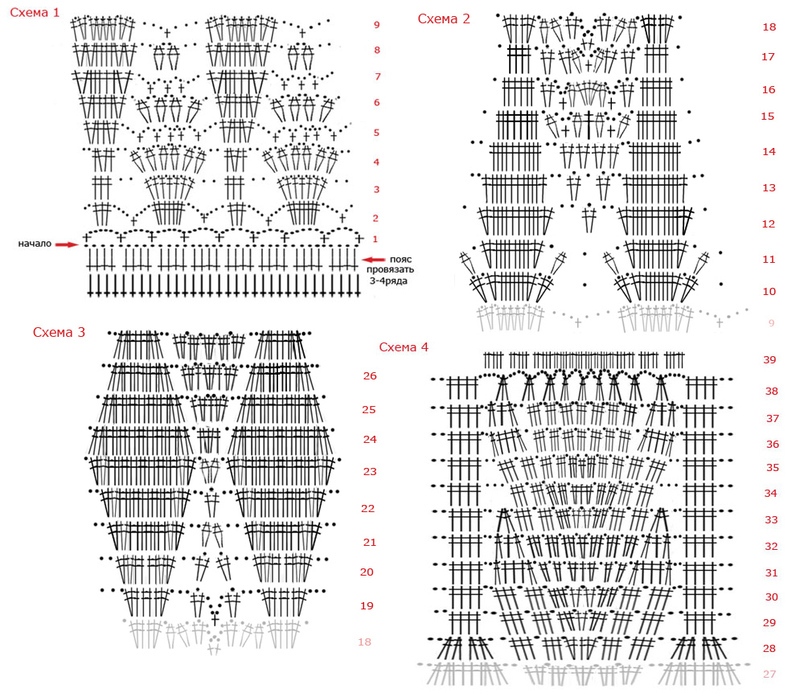 The thicker is the thread, the longer is the skirt and the bigger are the patterns. If thinner thread is used, the skirt will be shorter. You can use cotton, and then you will get a nice summer skirt. Crochet should be very airy and loose. This skirt was my first big crochet project and I worked on it for about three weeks. Several times I did it wrong and unpicked large pieces. But I am happy with the result. I did not attach lining to the skirt, because I want to wear it with leggings, too. Don't forgot to through ribbon or elastic in the waist.